. :: Prix de S.A.R la Princesse Lalla MERYEM Emanuele Gaudiano : Four in a row! ::. >> Prix de S.A.R la Princesse Lalla MERYEM Emanuele Gaudiano : Four in a row! 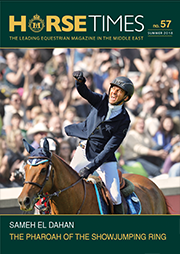 What Emanuele Gaudiano realised on Saturday night in Tetouan, first stage of the Morocco Royal Tour, was prodigious. With his good mare Carlotta 232, he scored three times, three wins at the same show with the same horse, not considering a fourth success earlier in the day, with his other horse Quinn Van De Heffinck. 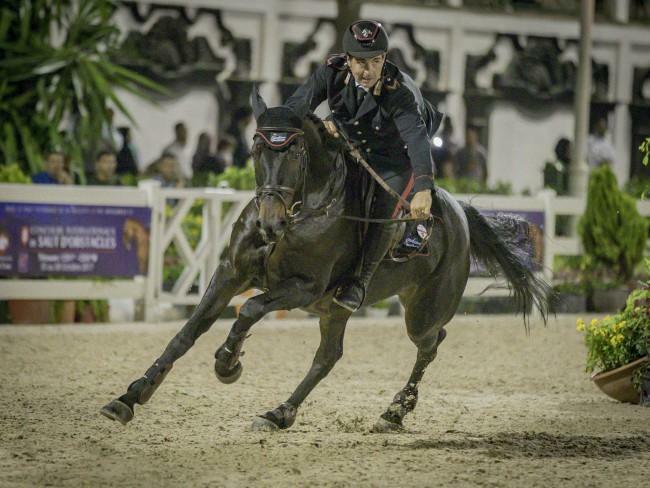 If Emanuele Gaudiano wears the prestigious uniform of the Italian Carabinieri, he decided to stay in Germany to settle in his own stables, to be in the center of the European equestrian activity : “Coming in Morocco is a real pleasure. It’s my fifth time here, and I love the MRT thanks to its friendly atmosphere, people are so nice, always ready to help and hospitalities are perfect. It’s always a pleasure to practice our sport in such conditions, good performances come easier.” Proof it is !